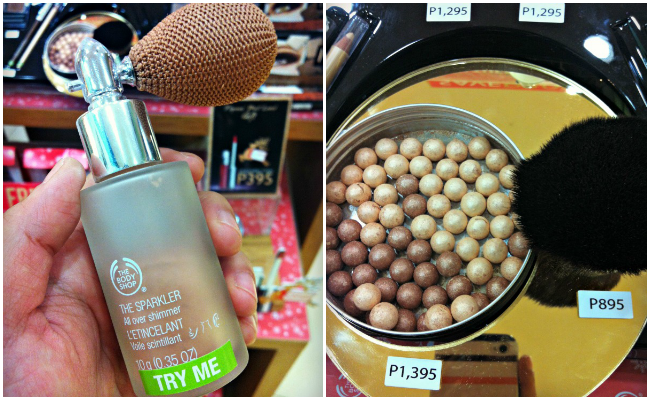 The Body Shop's latest Winter Trend Collection is all about glitz, glamour and sparkle. The new 4-step Smokey Eye Palette is available in Smoky Copper and Smoky Moonstone. Smoky Copper leans more towards the brown and golds while the Smoky Moonstone is more on the black/silver side. 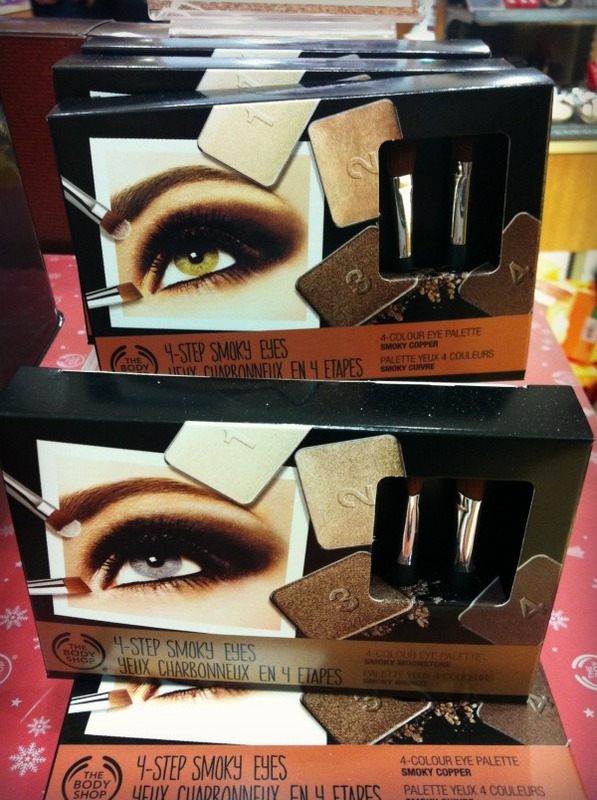 Both shades are highly pigmented and guaranteed to give you perfect smokey eyes for all your upcoming holiday parties in just 4 simple steps. 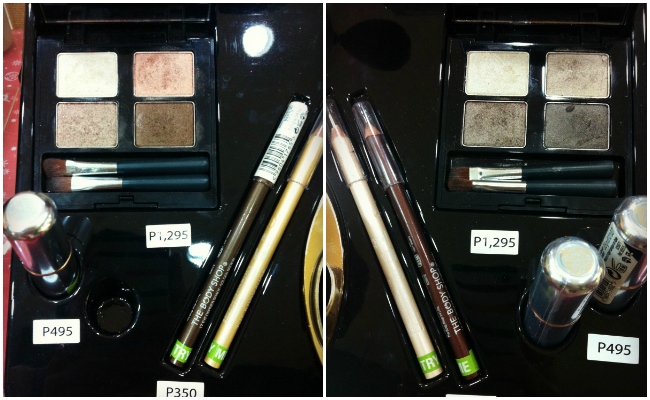 Skip the darker shades of your palette to quickly transform your look from day to night! A great starter set for beginners. Also included is this boudior "SParkler", an all over shimmer that you can spray on your body and hair for awesome effect under light. It looks great with updos and in my book, a definite must have for all brides to be. Meanwhile, Dazzling Rocks makes a great blush/highlighter andbronzer in one. The combination of gold and copper beads are perfect for applying on your cheeks, temple, decolletage or anywhere else you'd like to add some shine and definition. Also now available in store are these Holiday Tin Cans that are gift ready and come free with a certain amount of products purchased. 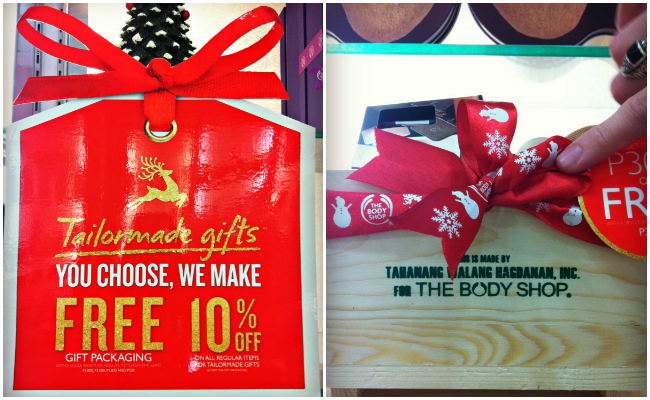 My favorite among their gift boxes are these wooden crates made by Tahanang Walang Hagdanan. A portion of each wooden crate purchased makes an instant donation to the said charity...so you end up giving two gifts instead of one. Another note-worthy Holiday-Inpsired product are these lotions that not only smell super yummy, they also add a slight glitter/shimmer to your skin. 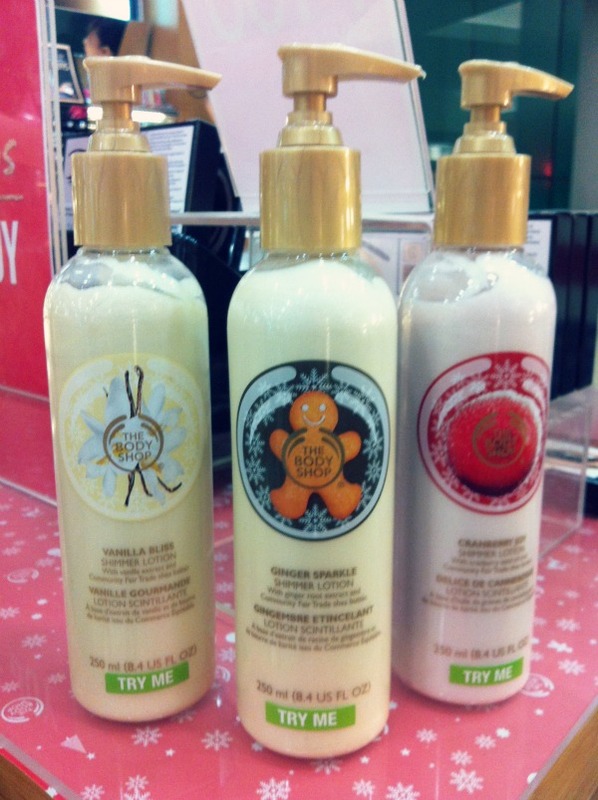 My favorite among the 3 is the Vanilla scent which smells just like ice cream. 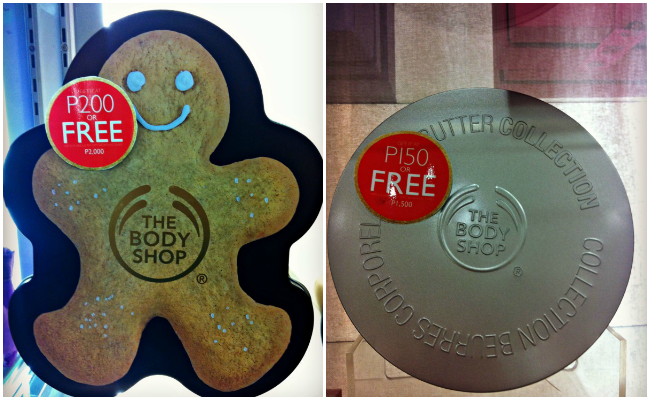 And one more irresistable reason to visit The Body Shop ASAP? Probably one of their best selling products ever, the Lip & Cheek stain is on sale and down to almost half the price at just P395/tube! 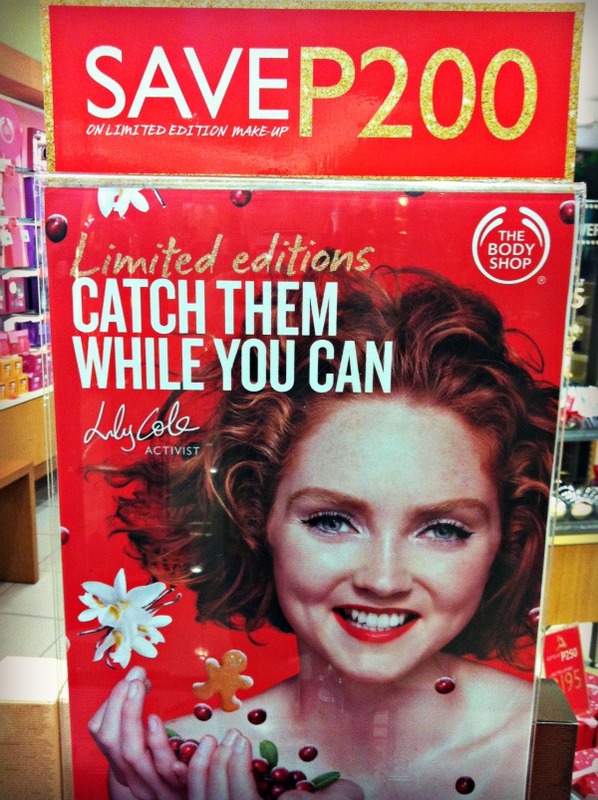 Perfect Christmas gift for your girlfriends/sisters! i love the face shop. want to have that smokey eyes coz im a beginner. The eyeshadow colors are so yummy !! !